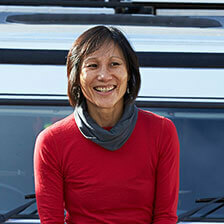 Sharon is an asset to Seven Miles and the Coffee Industry as a whole. With outstanding sensory abilities, Sharon is an accredited Q Grader, international green coffee grader and has a Bachelor of Science degree in food technology. Sharon spends a lot of time at origin, meeting with farmers, sampling crops and being consumed by the cultures of farmers and the greater coffee community.